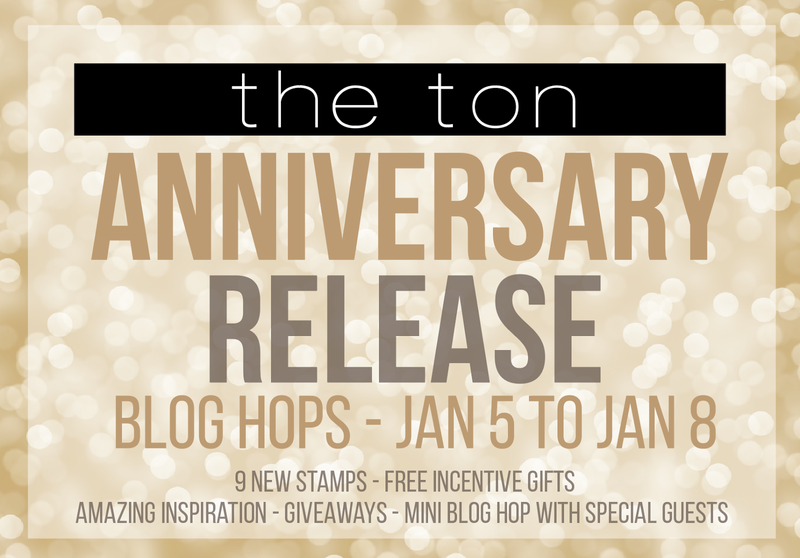 Hello and welcome to the The Ton's 4th Anniversary Blog Hop Day 2! 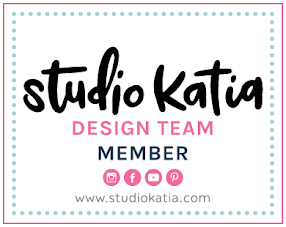 I'm so thrilled to join this amazing blog hop to celebrate one of my favorite stamp companies' birthday! You should have arrived here from Amy Kolling 's blog but if not, please check out full blog hop list at the bottom of this post. Today, I'm sharing CAS card featuring Power Pumps Stamp Set and Hustle, Grind Stamp Set and some of The Ton inks. To begin, I stamped Power Pumps Stamp Set image onto white card stock with The Ton Red Sangria Hybrid and Noir dye ink. I then white heat embossed a sentiment from Hustle and Grind Stamp Set onto a piece of black card stock. I really love every sentiments from this stamp set! Isn't this so true? :) I stamped another sentiment from same stamp set using The Ton Smoky Quartz Ink. I then drew some cracks as shown in the picture and ink blended the card stock using Tumbled Glass Distress Oxide Ink. Yes, I'd just like to say you have power to be a strong person to break or overcome any kinds of the glass ceiling around you. Hope you enjoyed this card. Thank you so much for joining me today and happy hopping! The Ton is celebrating 4 years this month and Effie has introduced 9 new designs for this release. 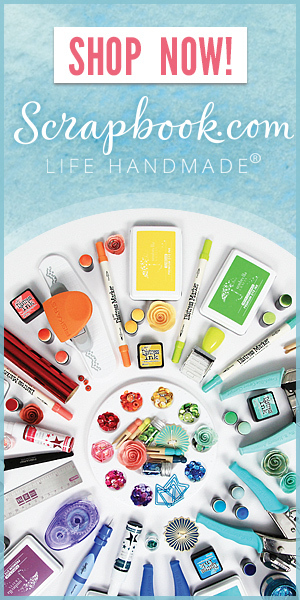 There are some free gifts with purchase promotions ongoing. Head over to The Ton Stamps' blog for more details. There are also giveaways everyday on these mini hops! Win a stamp of choice from The Ton's new release. To enter, leave a comment on each blog each day. Effie will choose one winner per day (4 winners total) and announce the winners on The Ton's blog by January 12. The comment period for these giveaways will close on January 11 at 7pm EST. I love your card! Thank you for sharing!!! Bold, gorgeous and oh so fun! Fabulous card! THIS IS AWESOME! #BossLady! I love the bold colors and sentiment! Yes! 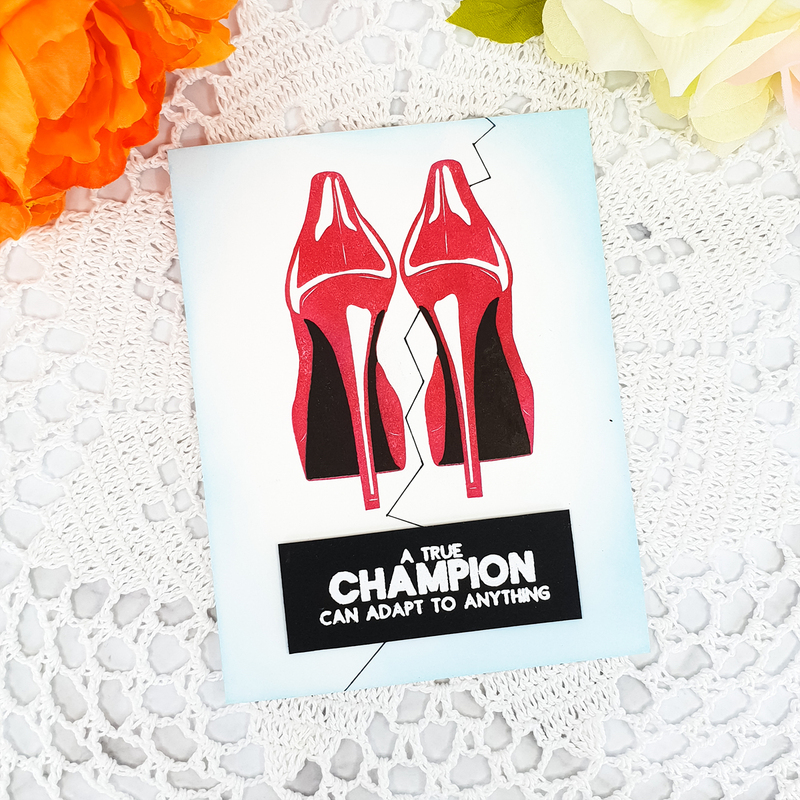 I would be a champion if I mastered walking in those heels! Great idea for a card so creative and bold. Thanks for sharing this lovely card. Awesome job on this card! Bold and beautiful and what an inspirational sentiment. Oh I love this so much. Very creative use of the shoes. should be taken to heart. Love these pumps, use to wear heels, days gone by... the sentiment is so great. I can almost see them shining in the sunlight. Nicely done. BEAUTIFUL!!!! I LOVE Red Heels! For me, those are days gone by too! LOL But, believe me I wore them & enjoyed them! The way they're done, they SHINE WONDERFULLY!!! We ALL need to be reminded just HOW does one "win" too! 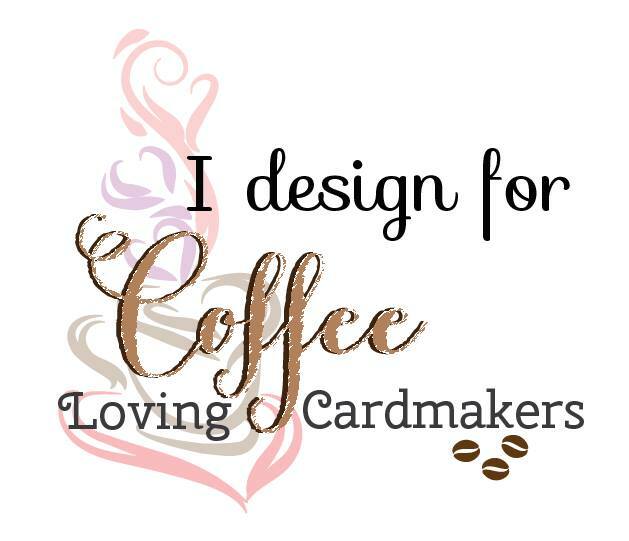 ;) You're creative genius looks GREAT with this sentiment & image too! 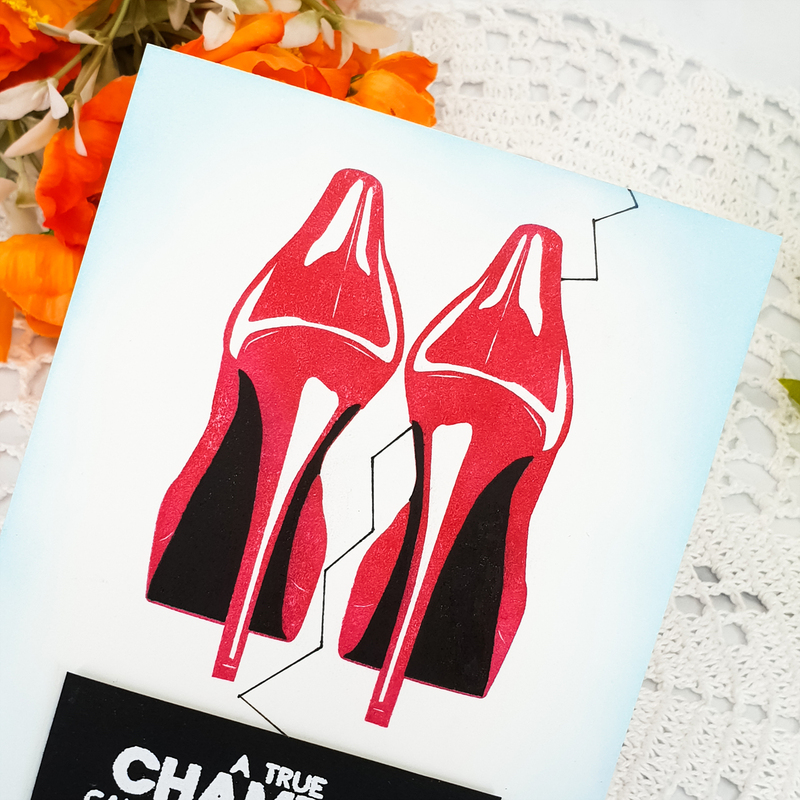 It isn't easy to walk in heels, on a cracked surface! LOL A SUPER JOB, DANA!!!!!!!!!!! Beautiful card, and love that inside sentiment! Thanks for sharing! Love this card!! Thanks for sharing! Great card. I love the overall message of your card and the cracks you drew really add a lot. Thanks! Love that fun power pumps set. Who doesn't need red shoes! Beautiful, fun card. Wow!!! What a cool card!!! Love the funny sentiments!!! I love this card! Those heels are amazing. What an inspirational card. Nice job designing. I like the bold look of this card. The heels look nice. Some days you have to put on the red heels and show them who is the Boss :). Love how you paired the heels with these sentiments. Love the bold red power pumps! A must have stamp set for sure!! Card turned out great! Love these oh so cool shoes! Fabulous card! I'm really liking these sentiment stamps. They are great paired with the pumps. Great fun and bold card. Love the sentiments in this stamp set. Love the card!great stamp set!!! Man I wish I could walk in these power pumps! I love these heels. Reminds me of a pair I had when I was young. Great job making them look real!! Love the stamp set. Done in red really makes the shine. 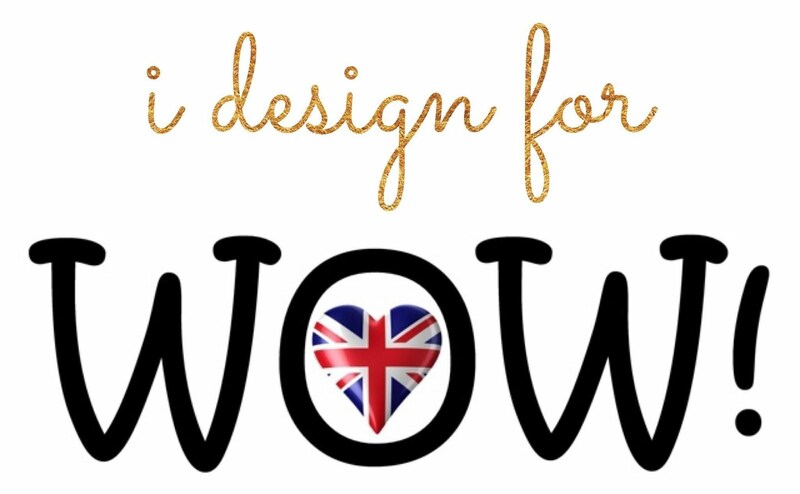 Such awesome new designs! I really love those Power Pumps! Great sentiments on your card too! Love it! Oooo . . . I just love these shoes! Perfect CAS card! Great idea, adding the cracks! LOVE those 3d pumps!! I love this card. You did an amazing job. I LOVE this card!!! Red is my signature color and I LOVE red shoes and red lipstick! I also adore the sentiments with the card! Bold and full of sass! 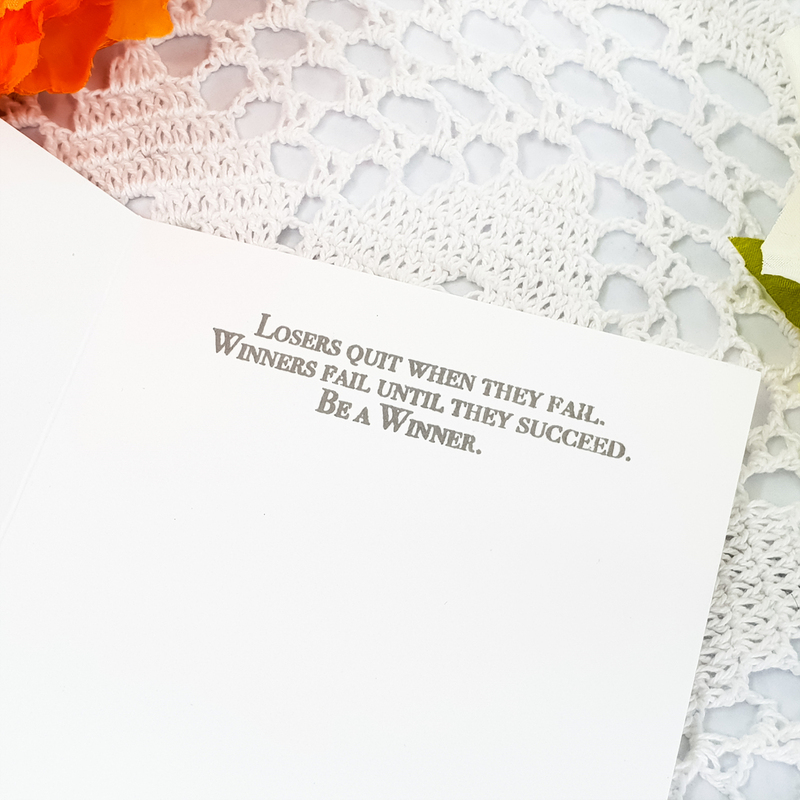 A truly motivational card. I like the thought of breaking that glass ceiling. Love your shoes and what great sentiments. A great job on the shoes Dana, a sweet card. 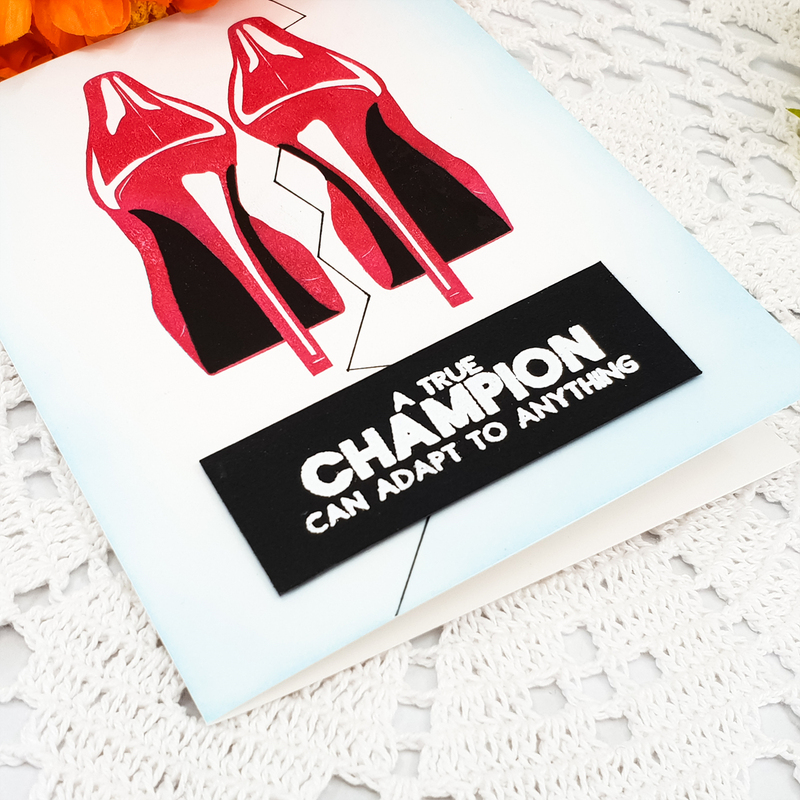 Wow this shoe card is a definite show stopper. I love how large the stamp is and it is so realistic. I can think of many friends who would love this set. 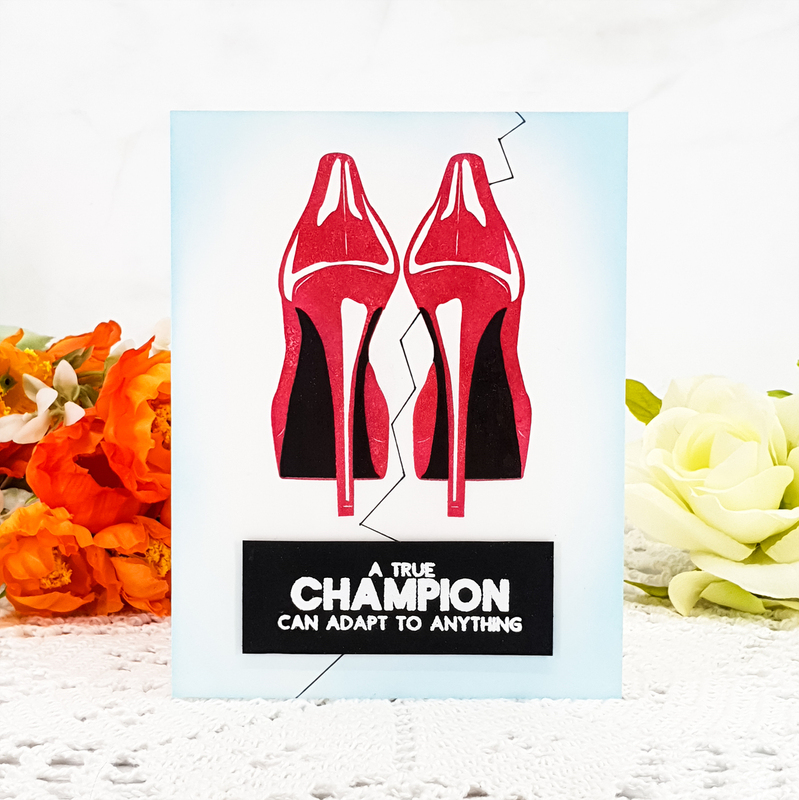 A great card with a wonderful empowering sentiment! Thanks so much for sharing such wonderful inspiration! Dana, your card is so POWERFUL!!! I love the sentiments and the heels with the crack is absolutely perfect! Fantastic sentiments, and OH MY these shoes! Fun stamp set. Awesome that you can have heels in any color. So pretty. I love this stamp! Beautiful job and I absolutely love the message you imparted with the crack. TFS! Fantastic card! I love the sentiment. You just have to love those shoes! They are amazing. Great colors. Fantastic card! Those bright red shoes are fierce!